However, it seems 54 members of the Cobh branch in Cork have announced their resignation tonight. SINN FÉIN HAS disputed claims that the entire membership of its Fermoy cumann have tendered their resignations to the party in the wake of the sanctioning of two councillors in the region. TheJournal.ie has learned that at an emergency general meeting of the Sinn Féin branch in the east county Cork town last night, the officer board and general membership put forward their resignations. It was understood that this involved around 15 members of the party who are part of the longest-standing cumann in the Cork area. However Sinn Féin disputed the numbers this afternoon. A party spokesperson claimed that five of those who put their names to a resignation letter were not members at all and added that as many as four other names on the list had not been informed about the letter. The spokesperson added that any member who wished to resign from the party had to do so personally and in writing. This evening, a statement purporting to be from the Sinn Féin Cumann in Cobh claimed there had been a mass resignation of 54 members from the party with immediate effect. The statement could not be immediately confirmed. 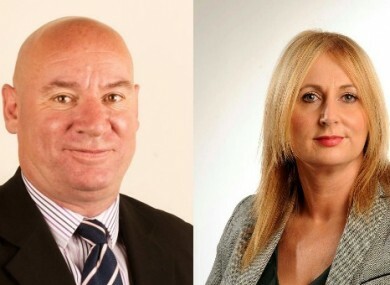 It follows Sinn Féin’s decision to expel Cobh-based county councillor Kieran McCarthy and suspend Mallow-based Melissa Mullane for one year following a review of the party’s organisation in the constituency. Both councillors have been told to resign their Cork county council seats although they are not legally obliged to do so. McCarthy is understood to have been expelled over a dispute involving a loan for thousands of euro taken in the name of the party. He denies any wrongdoing. Meanwhile, Mullane was suspended for “uncomradely behaviour” with an internal review saying the county councillor was found to have intentionally undermined and marginalised the sitting Cork East TD McLellan. Mullane has not commented since her suspension. The decision has led to an acrimonious public spat between McCarthy and the party. The review was carried out by Cork-based TD Jonathan O’Brien in the wake of tensions between membership and McLellan with McCarthy and Mullane both indicating they intended to challenge her at the Cork East selection convention. Sinn Féin has denied suggestions that the sanction of the two councillors had anything to do with the convention. In a statement from the Fermoy branch earlier, members said they hold both the sanctioned councillors “in high regard on both a personal and professional level”. “We can, therefore, not stand idly by while what we view as a seriously unjust and undemocratic act is carried out in our name,” the statement reads. We consider the action an affront to the democratic, socialist and republican ideals that the party stands for and would strongly urge the Sinn Fein leadership to revisit their decision and not stand in the way of the democratic process within the party. This afternoon, a spokesperson for Sinn Féin pointed out that the entire party structure in Cork East had been stood down as a result of the O’Brien Review. “We’ll be contacting members in the coming days asking them to come back on board,” they said. Read: Can Sinn Féin bounce back from Cork East controversy? Email “Sinn Féin claims there WASN'T a mass resignation of members in Fermoy last night”. Feedback on “Sinn Féin claims there WASN'T a mass resignation of members in Fermoy last night”.